This is a short history of how University of Brighton came into being. I first went to Brighton in 1960 and enrolled in The Brighton Technical College (in Richmond Terrace). At that time there was a feeder Institute the Preston Technical Institute (in Preston Road Brighton) that produced HND and the Students joined the Brighton Technical College for higher education. 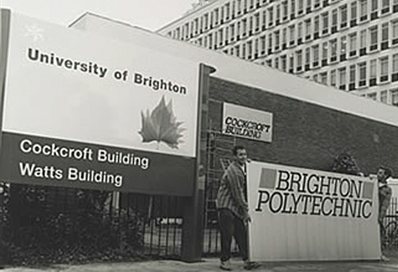 In 1962, Preston Technical Institute assumed the title Brighton Technical College, being responsible for all the non-advanced day and evening courses, while Brighton Technical College became the Brighton College of Technology, intended for more advanced studies than those offered by the technical college. Brighton College of Technology opened on the site of school playing fields in Lewes Road in 1963. The ten-storey Cockcroft Building was followed in 1976 by the seven-storey Watts building, named after the college’s first principal. Mithras House, erected at Lewes Road in 1966, has been used since 1977. 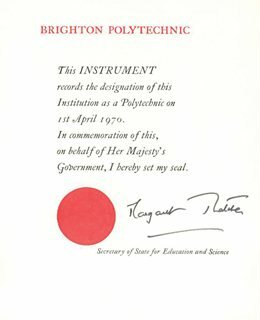 In 1970 the School of Art and Brighton College of Technology merge to form Brighton Polytechnic. Margaret Thatcher signs the certificate to confirm the former colleges’ new polytechnic status. The Teacher Training College merges with Brighton Polytechnic, giving the university a further campus at Falmer. The East Sussex College of Higher Education, including the Chelsea School, merges with Brighton Polytechnic spreading the polytechnic into Eastbourne. I started schooling one morning in January 1947. It appeared that they have decided I was big enough to go to school: of course i was, I was already more than 7 years but school in Labok reopened only in 1946 after the Japanese surrender and they did not have enough teachers to open more than 2 classes so I had to wait. This is from my eldest brother Shafii who wrote in this blog in January 2010: "...Semasa di sekolah melayu kami empat beradik dalam satu darjah ia itu Darjah Lima aku yang tua sekali adek-adek aku Maimunah, Mokhtar dan Ismail." How I remember this well, yes 4 of us: one sister and 3 brothers all in Std. 5 in 1950. It was the highest Class at Labok because after this we had to leave school and wander off elsewhere. 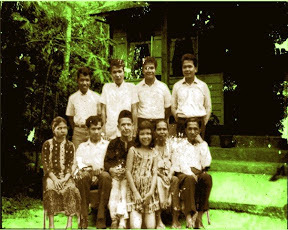 I was lucky being the youngest I was young enough to join an English School to open in 1951 in Kuala Krai 22 miles away to the south in Ulu Kelantan. My other 3 siblings continued schooling in Standard 6 in Kg. Machang 5 miles away from home. When France fell to the Germans during World War II in 1940 a French fighter pilot fled to Africa but he crashed in the Sahara. As he set about the arduous task of repairing his machine he was surprised by a little voice "S'il vous plait, dessine-moi un mouton" - it means "please draw me a sheep". The little fellow making the request was Le Petit Prince or The Little Prince in English. About five years later in a little village in Kelantan a 7 year-old boy George was asked by his mother to fetch some water from the well. George was angry at being always the one asked to do the chore and snapped back at his mother, "What about Edward?" referring to his brother one year younger at 6, "couldn't he do any work around here? Is he The Little Prince?" The two boys had an older brother who was away at the Madrasah (religious school) most days. Whenever he returned home our little prince never missed the opportunity to ask him "Please draw me a horse". Edward spent most of his days in deep thought unless he was listening to his mother teaching Quran to the village children. He paid attention to every Arabic word and phrase intoned by the children and his mother's correction. His mother was worried about him because most people who looked at Edward thought he was a stupid kid. His mother had hopes for him. She thought he was a late bloomer. Two years later all the 3 boys along with their sister were enrolled in the village school and they were all in the same class. At the end of the year the teacher announced the exam results. Edward the youngest sibling was top of the class. Later at home he asked his mother, "why are the other kids so stupid?" His mother was happy that her Little Prince was a good student as she had hoped but she did not show it. Instead she reprimanded him for saying such things as "the other kids were stupid." Four years later at age 11 Edward left his family home to move to Kuala Krai to attend an English school. It was both a sad and a happy occasion for Edward. He was sad to leave his mother but was happy that he had an opportunity to learn English and get a good job that would earn him at least $137.00 per month. The saddest part of Edward’s schooling during the next four years was that his father could not afford to pay his board and lodging. He was practically sold into a life of slavery where he did chores like carrying water and firewood and washing and ironing clothes for the other students. He often thought of his home life where he was never asked to do anything by his mother. He enjoyed school life especially reading the English story books but his favourite subjects were Algebra Geometry and anything to do with Mathematics. He wanted to study science but they did not teach that in Form I so he had to wait till the next year. He thought of his Uncle who shouted at him one day “People who go to English School and study Science will be condemned to Hell”. Edward thought to himself “Maybe I am already in hell now”. Four years went by quite quickly. 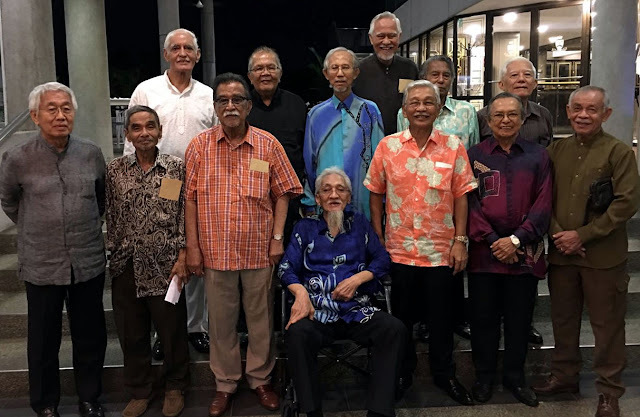 The School would not proceed to Form II and Edward and his friends transferred to a Kota Bharu and he left the life of slavery behind. It seemed to him everything would be alright from then on. Here are a few suggestions to make your Toastmasters experience the best it can be when you are starting out a little less than confident when speaking up in front of a group, at work, or with strangers. 1. Pick a Toastmasters club that feels right. If you go to a Toastmasters club and you feel intimidated, or overlooked, try a different club. The program is designed very well, but every club uses the program differently. Find a club where you feel comfortable and safe from the beginning. And don't be afraid to switch clubs if your current club is no longer meeting your needs. 2. Participate in every meeting in some way. Start with ballot counter or timer - the smaller roles - first. Then work your way up to Toastmaster after 4 or 5 months. Make sure you speak at every meeting in some way. 3. Do your ice breaker as soon as you can. That is the first speech in the program. Then dedicate yourself to doing a speech every 3-4 meetings. 4. Work with your mentor. If you aren't assigned a mentor, ask to have one. If you are not totally comfortable with your mentor, ask someone who you are comfortable with to help you (even if they aren't your official mentor). Having someone who will work one-on-one with you makes a big difference. 5. After a few months, participate in the speech contests. This is a great way to try something hard in a safe place. After you've participated in a speech contest, "regular" speeches are easier. 6. Don't stop after you feel like you've made progress. Keep going through the program. Many people find after a few months, they start to get some legs and feel much better speaking up. Don't be fooled that this first success is all you need! Getting over the first "hump" of shyness is just the beginning. The real, significant, life changes happen after you've moved into the advanced manuals and leadership projects. I've learned more as District Governor than I have at any level of my experience as a Toastmaster. 7. Keep up with the leadership side of the program. Even though you may be focusing on the speaking as a way to overcome shyness, the truth is, the leadership side of the program does far more to bring about confidence than the speaking side. Building leadership skills, such as collaboration, delegation, project management, conflict management, and crafting a mission, will benefit you in all aspects of your life. Also, as an introvert, it's easier to work on, to be honest. You can "lead from behind" so to speak. The more leadership skills you practice, the more confident you'll be, and speaking will be easier, because you know "you got this". I finished my leadership projects long before my speaking projects, because as someone who was still developing her extroverted side and getting over shyness, I found the leadership projects to be much more approachable and less daunting. 8. Go to the Toastmasters Leadership Institutes and conferences. These are very low-cost opportunities to learn more about both leadership and public speaking. Go to as many as you can and learn as much as you can. 9. And lastly, as much as you can, if someone asks for help with a club contest, or a membership drive, or something else, say "yes". The more you work together with other toastmasters, you'll build your reputation. Building reputation is a huge confidence booster. Also, having a "job" gives you a higher purpose, and makes it easier to ask for things and be assertive. 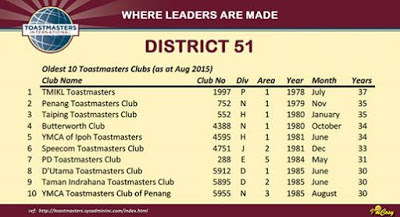 Toastmasters is not a magic bullet. However, it's a very good tool for overcoming shyness that has worked for so many people. And a quick note on shyness vs. introvertism. These are not the same thing. Toastmasters may not change your natural inclination to be an introvert. However, what it will do, is help you learn to be confident in who you are, what you believe, and your skill set. That will serve you well no matter what you do, and no matter how much you lean towards the introverted side. I saw the people downstairs move out. Later I saw the owner of the flat doing some cleaning and I went to talk with him. He said he was moving back here with his elderly parents because Kajang is lonely for the old folks. His father is 80 and one evening asked him when he was going home. He replied I live here, I am your son. I hope I don't get that bad when I get to be 80 because then Malaysia would be a developed Nation so they say. So how did you celebrate the advent of 2016? 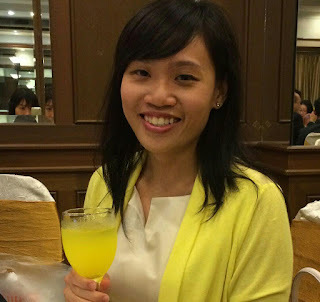 A friend invited me to a steamboat dinner at one of the chains of stores in town. At the appointed time I found myself where I thought the dinner would be. Unfortunately I was at leat 10 km away due to a confusion between the locations of Wangsa Maju and Setia Wangsa. You see we don't believe much in Google Maps we'd rather trust our own homing sense. The upshot was of course I told him it was too late and too far away so I decided to head on home and pick up a Mc Donald Burger on the way. This mornig he rang up and insisted that since we did not celebrate the coming of the New Year we should at least have a New year lunch and that was what we did. We had lunch at the Nasi-Lemak-Royal-Kedah and later on retired for coffee and Aple Pie at Panini Café at Desa Pandan. I was born quite near this place shown by the above link. For as long as I can remember the it was called Kedai Labok or Market Labok but never was it ever called Pasar as they would in the West Coast. The West Coast is where the foreigners come from. They come and visit us and speak in funny sounding language. What we call pitih they call duit. Odd people. 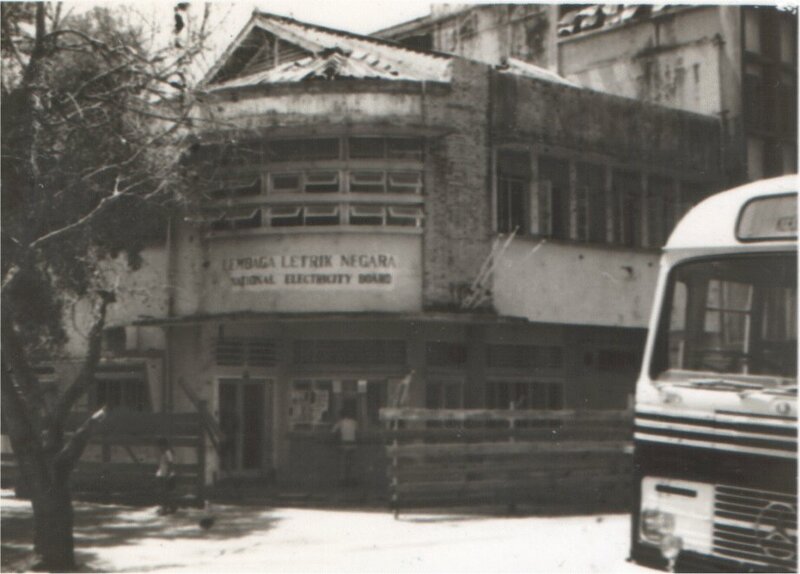 This was The District manager's Office of Lembaga Letrik Negara at Kuala Trengganu in 1968 when I arrived to take up my duties as the District Manager. In 6 months the first man stepped on the Moon. 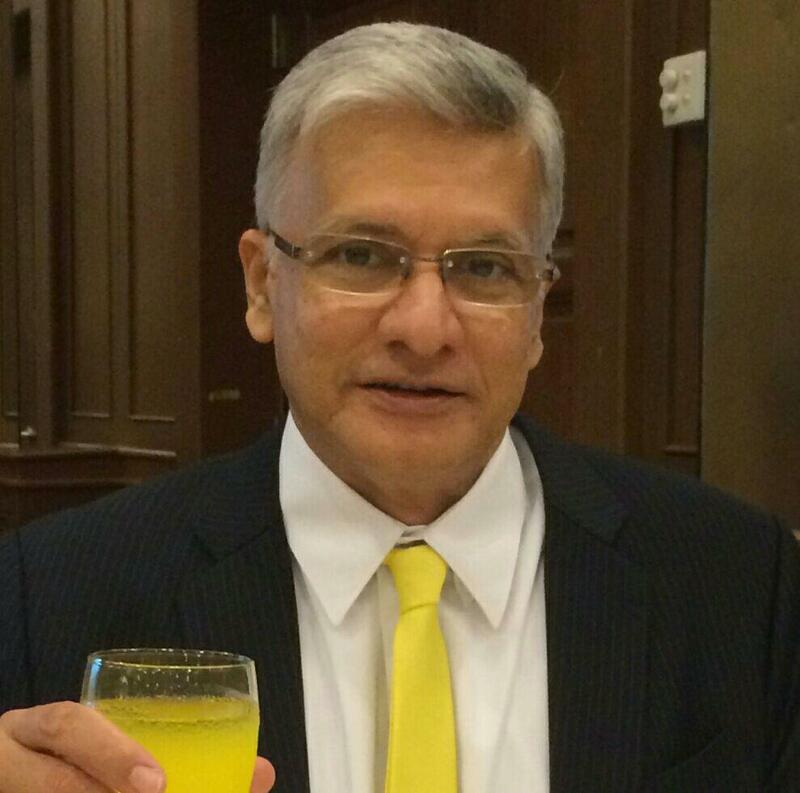 Rajesh is a leader with entrepreneurship who has set sights to grow TMIKL in terms of number, quality and fun factor. His wittiness will spill over into a fun and happy meeting. Who is a better role model than Ceyvian Chan, who, through discipline and perseverance, completed her competent communicator manual in 6 months. Talk about fast and furious. And did you also know that she is a born again TM? Stirling is a fledging TM who saw the benefits of joining and he is certainly eager to share the benefits of joining with others. Man of many emotions when giving a speech. From clueless and now with a little bit of clues. 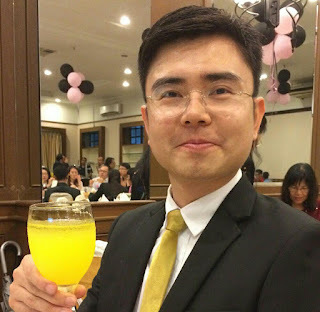 Yi Kang will present a less mysterious TMIKL and make information more easily available. Steadfast and ever reliable Rhoda Omar will always make sure that meetings run smoothly according to plan or even when there is no plan. I remember the bouts of panic attacks when Rhoda was not around to supervise a meeting. Club's dynamo, enough said. 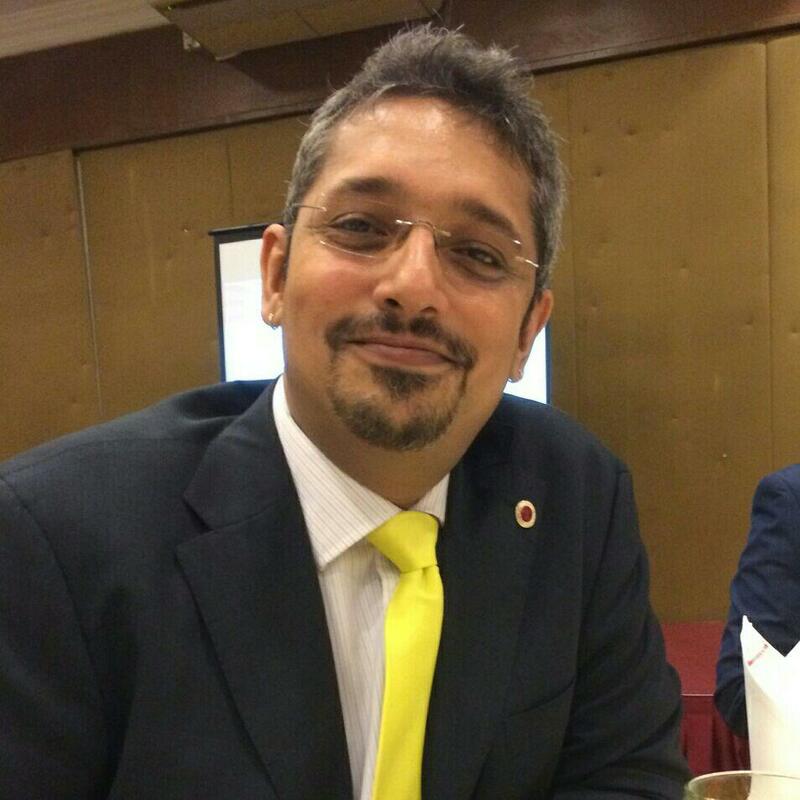 At home, Ismail Omar has his family, outside, he has TMIKL. A car needs engine to run, a rocket needs propeller to fun and TMIKL needs DTM Ismail Omar. 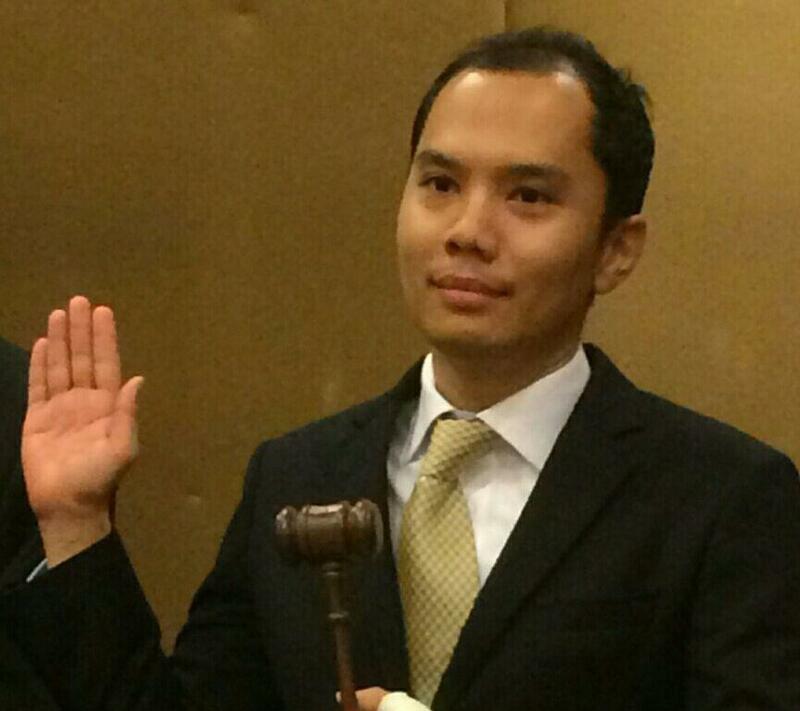 Sergeant At Arm: Razwan Rashidi- A banker, a thinker, and a dreamer of bigger things to come. DJ-ish voice, good looks and always with informative speeches that make you go, "Eh, I didn't know that." Mentor you can count on for inspirations, friend you can count on when in need and entertainer you can count on for the feel good factors during a meeting. 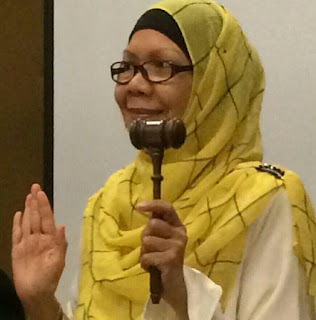 TMIKL's homegrown national champion in 2013 District level Table Topics contest. 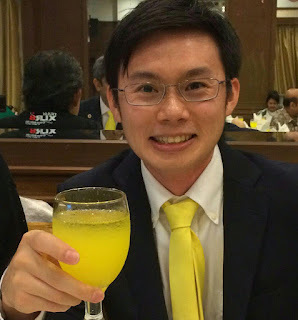 Humorous speech contest, evaluation contest, international speech contest, DTM Cyril is just a few steps behind. It was December 1958. We have sat for our Cambridge SC Exams and went back to our separate villages while waiting for the results. It was the most important Exams in our entire school life as most people left school after that and found jobs but it would be February 1959 before we would know anything about the Exam results as the papers were actually marked in Cambridge England. Along with the SC exams we had also sat for the 6th form Entrance for which the results would be out about mid December. We did not have even one telephone those days in the whole village so communication was strictly through letters sent via the Post Office. I have received a letter from the Headmaster of our school summoning me to go and see him in Kota Bharu. I was excited of course. I am no longer a pupil in his school and was ready to embark the next phase of my life. He had prepared the school leaving certificate for me and the others and he had one bit of important information for me. 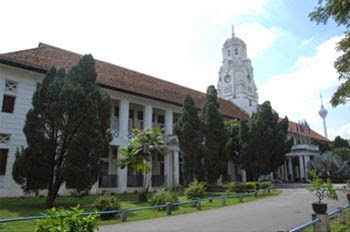 That was: I have been offered a place in the 6th form by two of the then best schools: the Malay College in Kuala Kangsar, Perak and the Victoria Institution in Kuala Lumpur. He asked me which school I would choose. Wow! I thought and could not conceal my excitement. These two top schools in Malaya both have a place for me. In five seconds flat I told him I would choose VI. Very Good said he and proceeded to note something down on the pad that was on his desk. He then gave me my leaving certificate and the letter of offer. He advised me to get in touch with one of our school past students who had gone to the VI the year before. I had to make preparations for this journey for I have never ever before left Kelantan. I had to say good bye to the whole village and they held a farewell tea party for me and collected some money for me. Some who could afford contributed 50 cents or $1 and I had a quite tidy sum of 120 ringgit. On the appointed day I had to be up at 4 a.m. and a neighbour in our village, the only man there with a car (Mini Minor 850 cc) had volunteered to drive me to the Station 22 miles away. I got there a full hour before the train was due and the driver of the car instead of me paying him the fare slipped me a $5 bill. So it was that I left Kelantan finally. The train journey south to Kuala Lipis took 6 hours and we had missed the connecting bus to Kuala Lumpur so we had to put up one night there. That night it happened that there was a funeral in the town just in front of the shop below our rooms and we could hardly sleep for all that noise. At 8 the next morning we boarded the bus to Kuala Lumpur. The journey took 4 hours across the central mountain range via Raub and the Gap and the fare was 5 ringgit. On arrival at Jalan Melaka we proceeded to the VI sixth form hostel in Davidson Road where they had rooms ready for us. That was really a journey of a lifetime for me. Within 2 years I was to embark on an even more memorable trip on a plane to England.